This production has been organised in collaboration with the Embassy of the People’s Republic of China in the French Republic, as part of Chinese New Year celebrations. The curtain opens on the young scholar who laments his impoverished existence to a Taoist priest. When the Taoist elder offers the youth a pillow to rest his head on, he lies down, falls asleep and dreams an entire life… By the time he wakes up, the millet porridge is cooked. The pot of millet dictates the length of the performance, and the actors encourage the audience to enjoy its flavour and aroma. Cooking a Dream is an adaptation for the stage of a novel from Zhenzhong Ji (The Story in the Pillow), a collection of dream-fuelled tales that dates from the Tang dynasty. The traditional tale has inspired a fresh perspective on Chinese cultural identity. 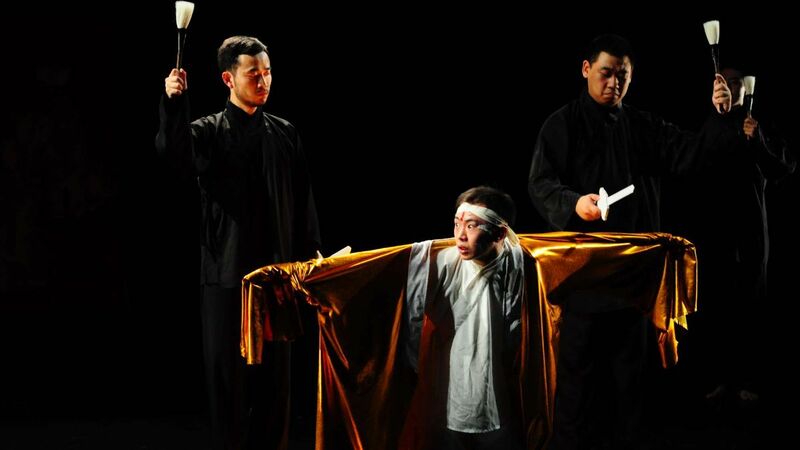 This poetic and contemporary production, which draws on the form of Xiqu (Chinese opera), weaves together tradition, modernity, and the mortal and spiritual worlds.